The following recipe and introduction are re-printed from THE BOOK CLUB COOKBOOK by Judy Gelman and Vicki Levy Krupp (Penguin, 2012). 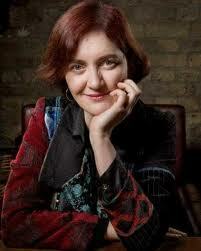 The narrator of Emma Donoghue’s novel is a five-year-old boy who leads a busy life. Jack and his mother’s days are filled with imagination, love for each other, and “thousands of things to do,” according to Jack. But their world is small, eleven feet by eleven feet, to be exact, and with only a skylight that hints at a world beyond their room. This tiny world as seen through Jack’s eyes is all that there is. 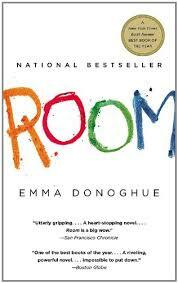 Inanimate objects become as real as playmates to Jack, and in his universe, have proper names: Rug, Plant, Room. Only one visitor ever enters Jack’s world a man named Old Nick, and when he comes Jack hides in a wardrobe. But Jack’s magical cocoon is anything but, and as more is revealed about the circumstances of his birth and confinement it is, by any adult measure, a nightmare beyond comprehension. In the first chapter of Room, Ma and Jack make a very simple sponge cake for his fifth birthday, but to his crushing disappointment, there are no birthday candles on top, only five M&Ms. For his sixth birthday, she promises, he will have candles. Well, this is the cake I imagine Ma making Jack, one year after that scene. A luscious devil’s food cake, which she will stud all over with candies, as well as adding six birthday candles — perhaps the kind that magically relight themselves after being blown out. (I’ve been in the world for forty-one years and I still have no idea how that trick’s done.) Jack will only manage a small slice, but I think by his sixth birthday he’ll have made a host of friends to share his cake with. 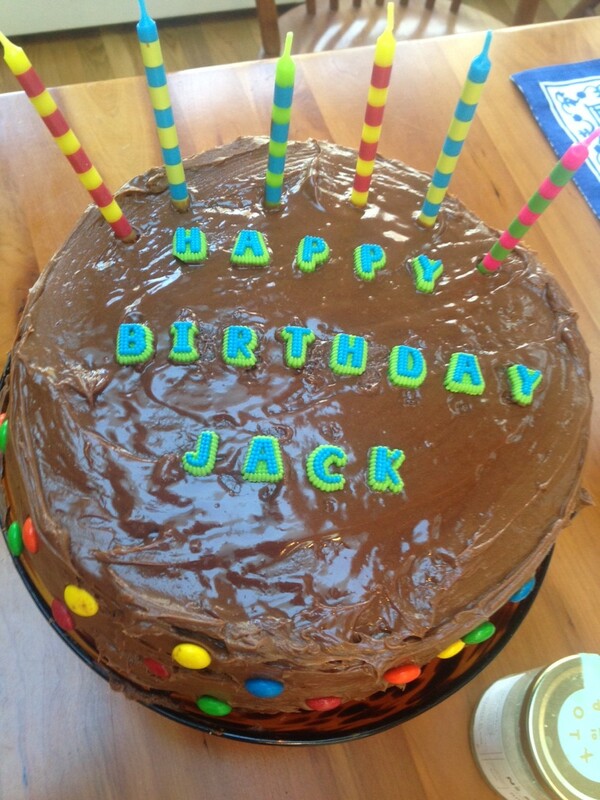 Emma Donoghue, author of ROOM, imagines her character Jack enjoying this rich double-layer chocolate cake decorated with candy, for his sixth birthday. Preheat oven to 350 F. Butter two 8-inch round cake pans, line bottoms with parchment paper, and butter the paper. To make the cake: Whisk together the cocoa powder and hot water until smooth. Set aside. Melt butter and granulated sugar in a saucepan over medium-low heat. Remove from heat and transfer to a mixer. Beat on a medium-low speed until cooled, 4-5 minutes. While butter and sugar are mixing, sift together flour, salt, baking powder, and baking soda in a medium bowl. Set aside. Add eggs one at a time to the butter mixture, beating after each addition. Beat in vanilla and cocoa powder mixture. Reduce speed to low. Add flour mixture in tow batches, alternating with sour cream and beginning and ending with flour. Beat until just combined. Divide batter between pans, and bake until a cake tester inserted into center comes out clean, 50-60 minutes. Transfer pans to a wire rack to cool for 15 minutes. Invert cakes onto rack, peel off parchment, and let cool completely. To make the frosting: Whisk together cocoa powder and hot water until smooth. Beat butter, confectioners' sugar, and salt in a mixer on medium-high speed until pale and flurry. Reduce to medium-low speed: slowly add melted chocolate and cocoa powder mixture and beat until combined. If frosting is not set, let stand, stirring occasionally until thickened, 20-30 minutes. Using a serrated knife, trim tops of cake layers to make level. Transfer one cake layer to a cake stand, and spread with 1 cup frosting. Top with remaining cake layer, and coat top and sides with remaining frosting, spreading it in a swirling motion. Cake can be refrigerated overnight. Before serving, let cake come to room temperature. Decorate with candy-coated chocolate pieces. This recipe is adapted from MARTHA STEWART HOLIDAY, October 2007.